In the high-profile NSEL scam, the Sebi on Monday granted three more weeks to Motilal Oswal Commodities Broker to submit its reply on a show cause notice issued by the markets regulator in April 2017. Besides, Motilal Oswal Commodities Broker Pvt Ltd has also been directed by the Sebi to appear for a hearing on September 27 at the regulator's head office in Mumbai. "If the noticee (Motilal Oswal) opts not to submit a reply on merits or appear for the personal hearing on merits on the scheduled date or do both, then, in the interest of justice and to avoid any further delay in bringing the present quasi-judicial proceedings to its logical conclusion, the proceedings on merits shall proceed ex-parte on the basis of material available with Sebi," the regulator said in an order. Sebi had passed similar orders on August 30, directing Geofin Comtrade Ltd and Anand Rathi Commodities Ltd to file their respective replies within three weeks to the show cause notices (SCNs) issued to them in April 2017, while giving India Infoline Commodities Ltd two weeks of time to file its reply. On June 6, the regulator had come out with a ruling against Phillip Commodities India Pvt Ltd, asking it to file a reply in four weeks to the SCN issued to it. 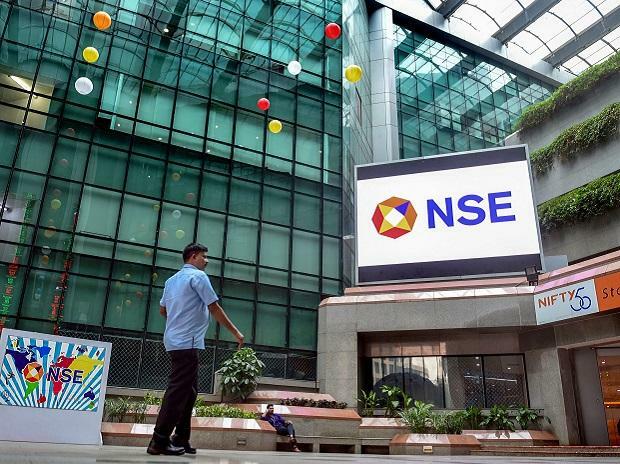 Following default at NSEL in 2012 and initial investigations by Economic Offences Wing (EOW) and complaints received from investors against the brokers (including Motilal Oswal, Geofin Comtrade, Anand Rathi, India Infoline and Phillip Commodities) of the now defunct spot exchange, NSEL and EOW in March and April 2015 had requested Sebi to take appropriate actions. Motilal Oswal, Geofin Comtrade, Anand Rathi, India Infoline and Phillip Commodities had made applications to the Securities and Exchange Board of India (Sebi) for registration as commodity brokers. Pursuant to merger of forward market commission with Sebi, the regulation of the commodity derivatives broker was entrusted to the latter. In view of the requests made by NSEL and EOW, the regulator had appointed an auditor to carry out performance inspection of the five brokers. Based on the findings of the auditor and further analysis by Sebi, it was decided by the regulator to initiate enquiry against the brokers. The designated authorities through enquiry reports had recommended that the applications of the five brokers submitted for registration as commodity brokers may not be considered in the interest of securities market and they may be rejected. Subsequently, Sebi issued SCNs to Motilal Oswal, Geofin Comtrade, Anand Rathi, India Infoline and Phillip Commodities in April 2017, wherein they were advised to reply within 21 days. While the brokers in May 2017 had acknowledged the receipt of the SCNs, they had sought inspection of documents as well as their copies and submitted that Sebi had not provided complete inspection of all relevant documents to them. "... the noticee has already been provided with all the relevant documents and clarifications which enable the noticee to submit its defence in the present proceedings," the regulator said. As a normal practice, the outcome on the issues of inspection is addressed by way of administrative notices sent by the Sebi. "If formal orders are to be passed on every objection/ issues raised by each noticee in every proceeding, it will ultimately result in a multiplicity of orders in one and the same proceeding and further result in delay of dispensation of justice and also clog-up the quasi-judicial and appellate forum with unwarranted litigations. "This will become a tool in the hands of entities who may not have substantive submissions to make on merit and seek to delay and wriggle out of rigors of timely enforcement action by raising such pleas with the intention of delaying final adjudication of the case on merits," the Sebi said. Noting that this order should not be cited as a precedent in every matter where inspection is sought by the parties, the regulator said this ruling is passed to clarify expressly the stand that the outcome on the issues of inspection should be "addressed/ communicated by way of administrative notices/ letters".